Nguyen Tuong Lan (1906-1946) was one of the famous artist quartet “Tri – Van – Lan – Can (Painters of the first generation of the Indochina Fine Arts College from 1924) over the first period of Vietnamese Fine Arts. Nguyen Tuong Lan was a graduate of class 4 (1928-1933) of the Indochina Fine Arts College. After graduation, he opened a studio with adequate facilities and beautiful models. Due to his good command of oil, lacquer, silk, woodcarving, pigments and charcoal, Nguyen Tuong Luan executed plenty of artworks but many of them disappeared later. He was one of a few contemporary painters having the ability to turn raw colors into the harmony which expressed surrealism, symbolism, simplicity and elegance, even with silk paintings. In the 1940s, Nguyen Tuong Lan changed his artistic style to abstract expressionism (The painting Two Young Women By The Window, Salon Unique, 1943) with free rhythms of his strokes. Many of his artworks were lost. 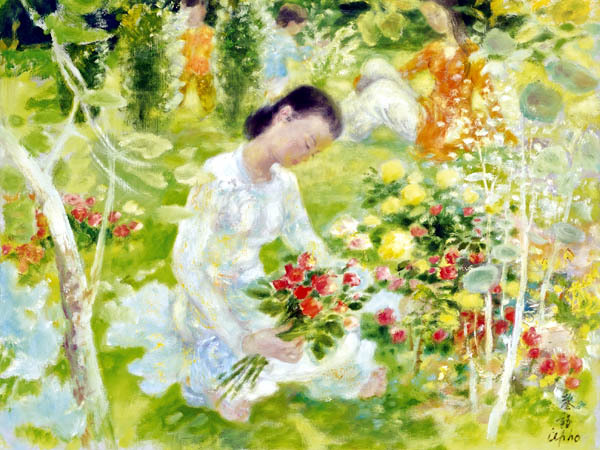 A few paintings are currently displayed in the National Institute of Fine Arts, Hanoi.